Mosman FC was founded in 1967 and we celebrated our 50th anniversary in 2017. Do you know anything about Mosman Football Club’s history? If so, please email us. Mosman Junior Soccer Club was founded in 1967 by some dedicated locals. The first meeting of the club was held at the Kunz family home and the committee was elected. Merve Mancer was our first president, with Dr Frank Kunz VP and Elizabeth Stuart Registrar. Eventually, a Navy cook was found to be the first coach, and the Army oval at Georges Heights was used for matches. By 1969, the club was thriving with nearly 200 players. Read SMH Article. 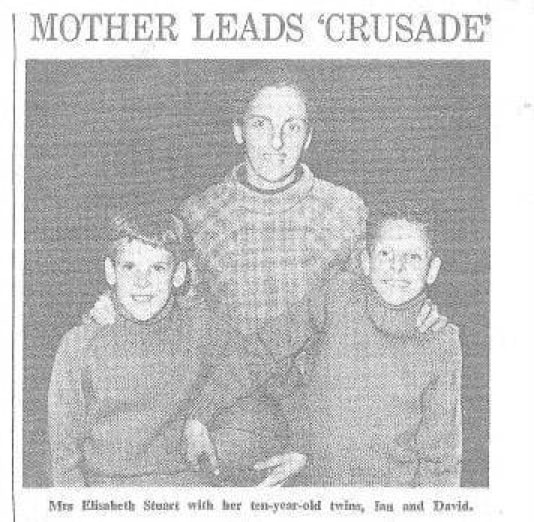 The first all age Mosman team was formed in 1971 and competed in an Inner West competition against teams like Balmain and Five Dock. This team included players from lower grade Federation football and others who went on to play first grade in the NSW Second Division. This included Tony Lopez, brother of Dom Lopez former Mayor of Mosman. Back when Allan Border was a boy and footballers were sponsored by red meat (apparently, one of the players, Graham Stanley, was the Mosman butcher). Those with a keen eye and vivid imagination will be able to identify Peter Pettaras, third from left in the bottom row, who has played for the club every year since 1966. 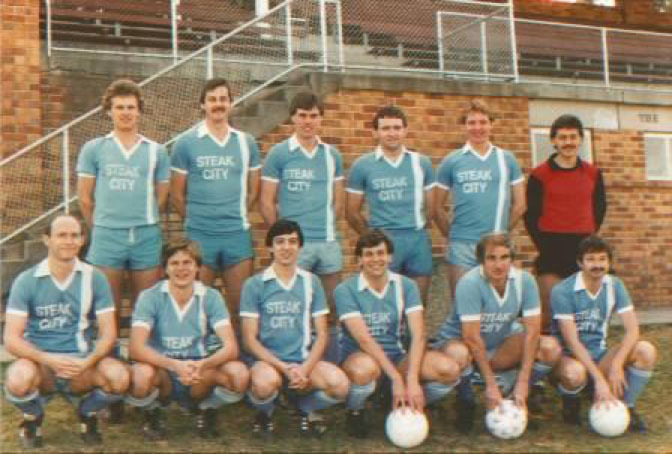 In 1984, Mosman FC had over 450 players, including 6 all age teams. By 1990, however, the junior player numbers had fallen from over 200 to just over 100. This is the Prems Team circa 1985 (judging from the crushingly tight shorts and even more indecent hair on the upper lip). 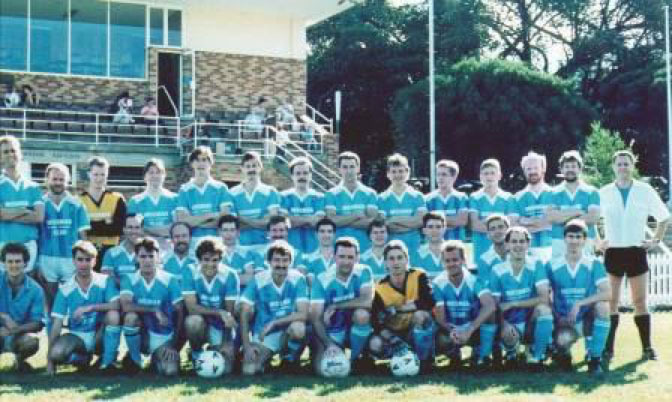 Mosman FC grew steadily during the 1990s, from 400 players in 1990 to 680 in 2000. The number of senior players doubled to over 200 and the junior divisions also grew. MFC won its first premiership grand final in 1997, led by coach Pat Digby, and won both first and reserve grade in 1999. Despite the introduction of ladies football by the MWFA in 1986, Mosman did not participate in any of the female competitions in the 1990s. Junior Ladies. The addition of female players in 2002. From 2002 to 2004, the formation and growth in the junior ladies divisions was led by Natasha Miller. In 2004, Denise Menzies took over and oversaw rapid growth from 2 teams. By 2009, there were around 40 senior women and 170 girls playing in 14 teams, with the first “graduation” of U18 players to the WAL competition in 2010. The growth of O35 mens football. From one team in 2001, new teams added from other clubs, immigrants and ex-AL teams increased this to eight teams and 160 players by 2010. The growth in O35 football has allowed players to continue as members of Mosman FC well into their 50s. The player with the longest continuous playing career is Peter Pettaras, who joined the club in 1967 and played his 50th season in 2017 as the club itself celebrated its 50th anniversary. With the size of the club and the interest in professionally-run coaching programs, we employed our first full-time Director of Coaching, Andrew (Drew) Taylor in 2014 and added a full-time Coach and Player Development Manager in 2018. O45 – In 2017, Mosman entered our first team in the O45 competition and now have div 1 and div 3 teams.